Milanese tie brand Bigi Cravatte was founded upon a passion for quality handcrafted ties that has been passed down from generation to generation. 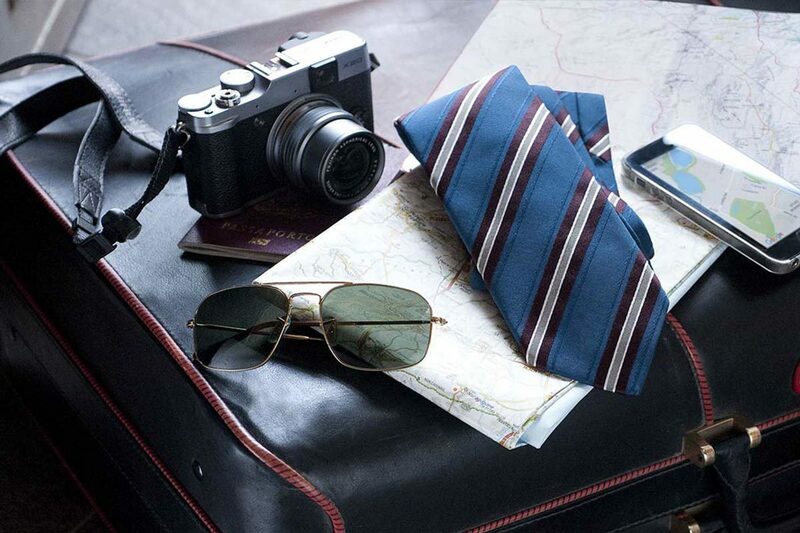 A Bigi Cravatte tie is the ultimate rakish addition to any elegant ensemble. The Bigi Cravatte story is one that spans three generations, its original foundations and continuing endurance predicated upon a simple shared passion for quality ties. The company’s beginnings can be traced back to 1938, when Luigi Draghi opened a humble tie-manufacturing workshop in Via Corridoni, Milan. Since then, the family business has grown and changed under the helm of his son Daniele Bigi and now his grandchildren, Stefano and Paola Bigi. Such standard requires the enforcement of stringent controls at each stage of Bigi Cravatte’s in-house production chain, and the company prides itself on its meticulous attention to detail. A consistent manufacturing approach lends itself to Bigi Cravatte’s distinctive style, with signature pieces characterised by double interlining in wool and cotton, silk lining and a keeper loop hand-sewn with four stitches. Italian taste is intrinsic to each collection and the simplicity and sophistication of Milanese design is made explicit through the use of subtle patterns and muted colours. It may be easy for a family-run business to rest on its laurels and fall back on tradition, but striking a balance between honouring heritage and embracing growth and innovation is essential to the underpinning ideology of Bigi Cravatte. Any sense of complacency is regarded as regressive and destructive, says Stefano. “Our taste, the knowledge we have of the fabrics and the cues we take from our archives allow us to present exclusive collections, but it’s important to us to continue to do research without ever settling with what we have already created… to dedicate ourselves to the constant study of new colour combinations, exquisite fabrics, and original designs”. It is this approach – the simultaneous attentiveness to changing trends and respect for tradition – that enables such a seamless marriage of classicality and contemporaneity. According to Stefano, “A tie is not only an indicator of style, but also a sign of the character of the person who wears it.” This sentiment rings true of the Bigi Cravatte man, who encompasses a vast range of qualities, but is most importantly, as Stefano puts simply, “a man who cares about his appearance, who loves quality and wants to use the tie to improve his look”. Of course, as any gentleman knows, a tie is far more than a piece of fabric, and to don a Bigi Cravatte tie is to exude a certain air of confidence and self-respect. The power of such an accessory should not be underestimated: it is the final touch of elegance and flair and immediately makes an outfit. In an age of fast fashion and quantity-driven production, the extent of passion and respect that goes into the creation of each Bigi Cravatte tie is refreshing to say the least. The possession of such authentic enthusiasm for one’s craft is increasingly rare, and it gives us hope to encounter a successful brand still operating in this vein. As Stefano puts it, “After 80 years of history, we embrace the same set of values handed down with pride and shared by those who work in this reality every single day”. At this rate, the Bigi Cravatte brand will continue to flourish, its legacy destined to live on through the rakish wardrobes of stylish men the world over.